SCHOOLS in Northern Ireland now have clear policy directions in the school improvement policy and the ‘Count, Read: Succeed’ document. These set out to give precise targets, successful teaching strategies and what is expected from school leaders, teachers and governors. Though these documents are much more definitive and prescriptive than previous policies it is still difficult to assess at this early stage, just how successful the implementation of these changes has actually been. One in five pupils leaving primary schools failed to reach the required levels in literacy and in 2009, 10,000 students out of a cohort of 29,000 left school without five good GCSEs. This performance falls behind many other competitor countries and is clearly unacceptable in a country which aspires to maintain a presence in the global marketplace. Raising standards is a complex business and there still remain some key issues which, in my view, need to be addressed before any sustainable progress will be seen. Diagnosis of literacy levels when children first begin school is essential and should be standardised across all establishments so that accurate, reliable comparative data can be established. At the moment this process is haphazard and it must be incredibly difficult, especially for teachers in small rural schools to know just how well or how badly they are doing compared with similar schools across the province. Availability of ‘benchmarked data’ preferably with some ‘value added’ element would certainly help principals and governors understand where they are and what needs to be done to move things forward in their particular classrooms. Once reliable testing has been completed, the development of a Learning Plan for every child is vital so that early intervention and targeted support can be delivered. This approach should definitely encourage greater involvement of parents in the learning process because in Northern Ireland at the moment school/parent partnerships are largely underdeveloped and a valuable resource for learning is being wasted. If encouraged, parents and grandparents are generally enthusiastic in sharing the learning process by working alongside teachers. Provision of after-school classes explaining techniques, learning games and teaching strategies can bring great benefits when the work is continued in the home. If nothing else these partnerships do demonstrate to children that reading and the enjoyment gained from it is not something that is only done in school. Similarly governors should be more proactive in keeping improvement of literacy high on the agenda at every meeting by seeking answers to precise questions about the literacy policy of the school, progress made towards the agreed targets and the usefulness of any intervention programmes. There are obvious implications here for governor training in order to make them understand their role in holding school leaders to account. In fact using every community resource to assist children in their learning should be employed if we are to make real progress and I would include educational charities, commercial organisations and any other interested stakeholders in this combined effort. Business in the Community’s ‘Time to Read’ scheme which places people from business and other professional backgrounds into schools to assist children with reading and the ‘Letterbox Club’ which posts out carefully selected books to young people are good examples of the kind of innovative approach which need to be encouraged. It is about changing the learning culture especially in the lowest achieving parts of the country where many parents themselves have had a negative experience of school. To make a quantum leap forward we must blur the edges where traditional work of the schools stop and where community activities normally begin. There is currently an on-going review of initial teacher training and it seems to me essential that future programmes should contain detailed training on the teaching of literacy and numeracy for all teachers irrespective of their subject expertise or the type of school they eventually hope to join. It is about having a thorough grasp of pedagogy, of the range of teaching strategies available and the ability to quickly analyse performance to define where children need help with their learning. Some analysis needs to be undertaken, especially in very small primary schools to determine the actual distribution of teacher expertise. If none of the teaching staff are competent or skilled enough in the techniques for improving literacy and numeracy levels there is a danger that progress will be limited. There are of course many excellent teachers in our system but their expertise is not being readily identified, or being used nearly enough to disseminate their strategies and ideas to other staff. Internal school cultures which analyse and share sound practice between teachers have been shown to be highly effective in raising standards and is a cost effective way for moving things forward in Northern Ireland. Conversely, accountability for teachers and school leaders is weak here. Under-performing staff should be identified, supported, re-trained or if all else fails, dismissed. Children get one chance in the school system and if they are not receiving the education they deserve then a much tougher approach is clearly necessary. Teachers who have little affinity with children, are not reflective, poorly prepared, don’t really know their subject matter or the related pedagogy and lack true passion for the job are never going to be effective and should be weeded out. Being a teacher is a great privilege but with it comes an enormous responsibility. As the old saying goes ’you never forget a good teacher’ but equally it takes a long time to get over a poor one. The previous four chief inspector’s reports have said that 25% of primary principals and nearly a third of post-primary principals are under-performing. Not tackling this issue has long-term consequences and any uncommitted staff at whatever level must have a detrimental impact on any efforts to improve our standards of literacy. The establishment of the Educational Skills Authority has a remit to deal with many of these questions and it will be interesting to see how this new organisation tackles the shortcomings presently in our system. Without doubt whatever strategies we adopt will have to be cost effective because in terms of finance the future will be about making more of less and schools will have to decide where their key priorities lie. In my view, no new money will be forthcoming to fund fresh initiatives and school managers will have to be more inventive about the way they deploy their diminishing resources. Getting all young people competent in literacy and numeracy is surely a core purpose of schools and currently the long tail of underachievement shows that far too many pupils are still slipping through the net. Modern countries require a highly skilled workforce and the days when agriculture, shipbuilding or the building industry could soak up vast numbers of poorly educated people have long gone. Certainty has been replaced by uncertainty and without doubt the rate of change will increase rather than decrease in the future. Without sound literacy skills and adequate qualifications many of our young people will face a very bleak future as the competition for jobs becomes fiercer. Having a sizeable proportion of our youth sitting on their hands and becoming evermore disillusioned and resentful about their situation is surely something no fair-minded person would want. Complacency will be our downfall. Socially, economically but above all ethically we cannot allow this situation to continue therefore urgent action is needed. 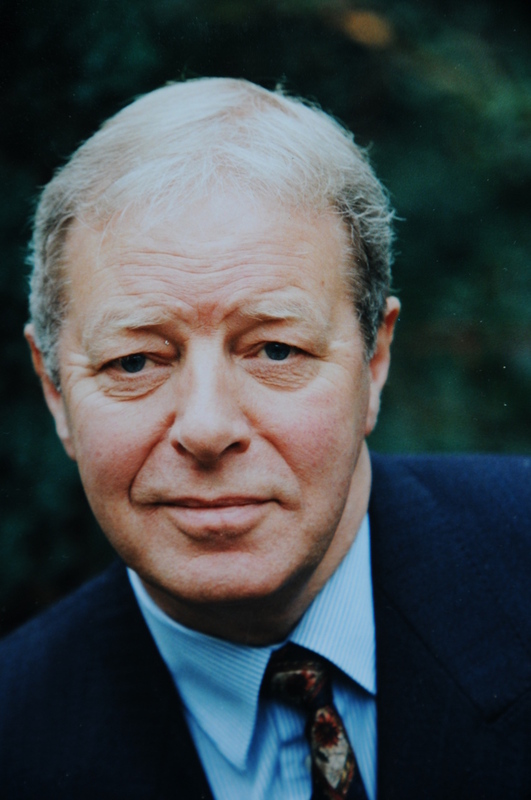 Sir Robert Salisbury chaired Northern Ireland’s Literacy and Numeracy Taskforce. The former principal and Director of Partnerships at the University Of Nottingham School Of Education, is now retired and works to support principals and schools in challenging circumstances. Sir Robert moved to Northern Ireland in 2001 where he has worked with Queen’s University and the Regional Training Unit.